Price Reduced. This property checks a lot of boxes merchantable timber, abundance of wildlife, several great homes sites, and minutes from Aiken. It's perfect for someone looking to live out in the country and have a place to hunt and grow timber. 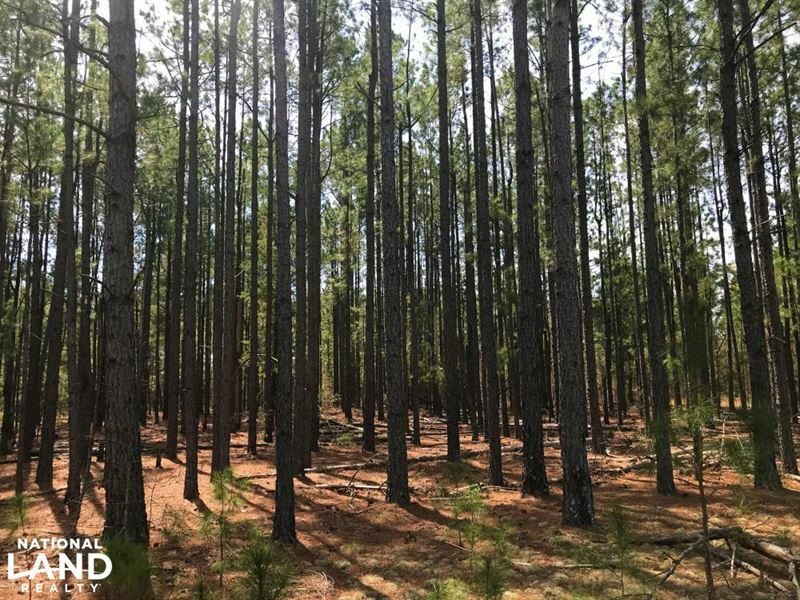 It currently has roughly 20 acres of merchantable loblolly pines that could help offset the purchase price. With 3/4 of a mile of paved road frontage, you could even sell off a few lots and generate a significant profit off of the land. Or clear a spot in the middle and have a nice home tucked away in the woods. This property is priced to sell and won't last long, so call today if you are interested in taking a closer look.